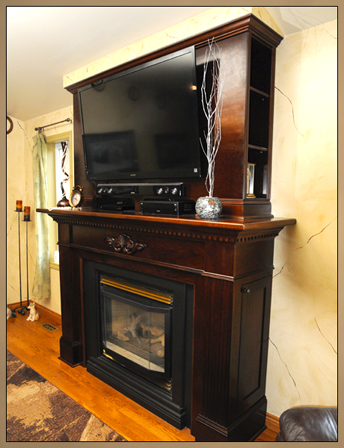 Fireplace Wall Units - TV Fireplace Ideas This built-in wall unit combines a fireplace mantel cabinet with a fully integrated custom TV cabinet and bookcase ends for display. 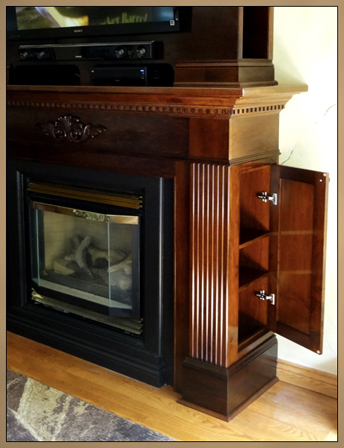 The lower mantel surround has hidden adjustable storage on both sides. 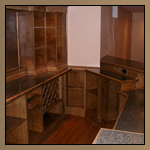 The bookcases are fully adjustable. 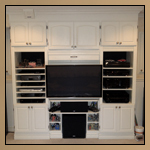 The media cabinet supports a 60” TV, speaker bar and two media devices. 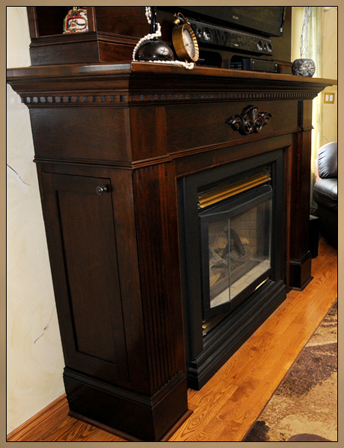 Bulkhead was added to the top and tied into the cathedral ceiling to complete the illusion of both a chimney and that this fireplace wall unit was entirely original to the home. 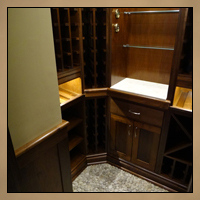 High Quality Craftsmanship is the primary standard that Ultimate Designs strives for. 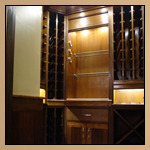 Every project, large or small, is well thought out, well engineered, forward thinking and well built with extreme attention to detail. 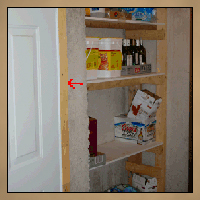 Corners are never cut for any reason. 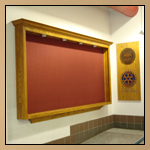 Regardless of your budget, we will always deliver something that will last and was well worth your investment of money and time. Our only goal is to leave you completely satisfied and perhaps a little hungry for more. 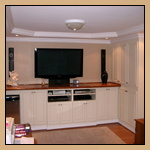 If you demand excellence, then The Ultimate Designs Company is right for you.